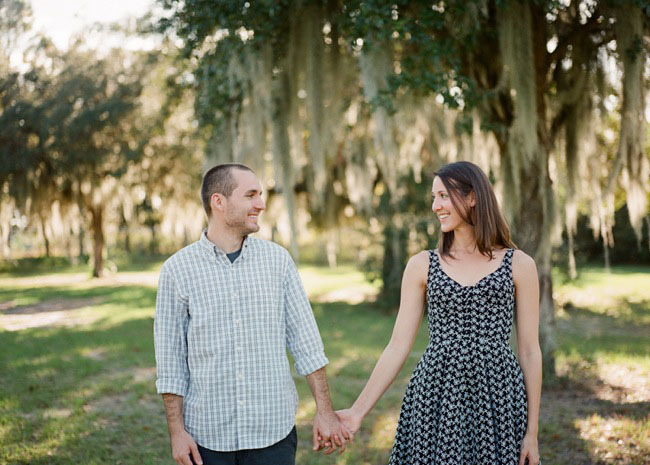 If you’ve been reading Green Wedding Shoes for awhile, you know I just love when couples infuse some of their personality into their engagement photos and today’s adorable couple did just that. 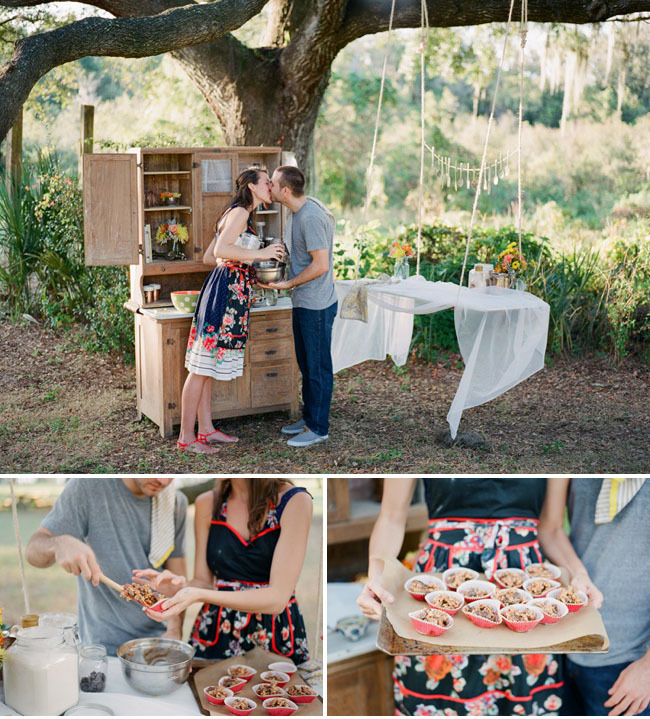 Jillian + Marcus love spending time in the kitchen, so they wanted to incorporate that in some way. 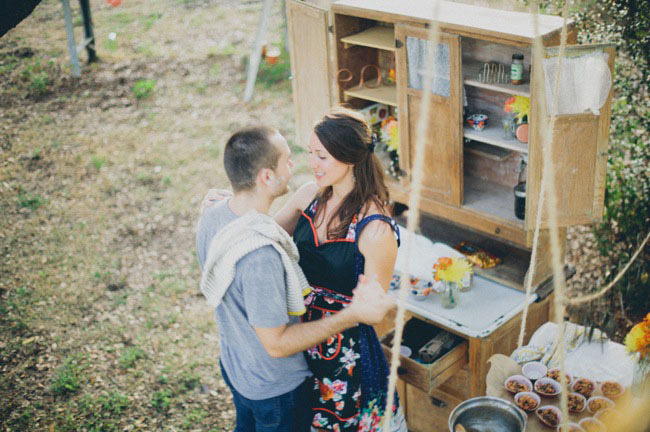 They asked their wedding planner Laura Helm from Ashton Events for some help bringing the kitchen outdoors and I love what they came up with. 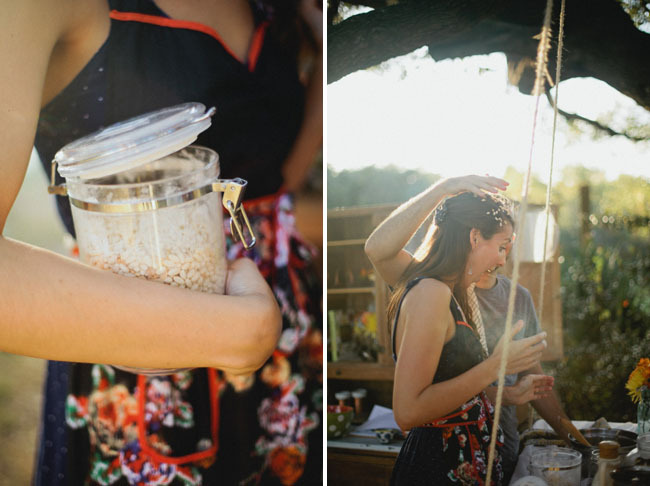 Jillian even wore her grandmother’s dress in the kitchen – along with an amazing Anthropologie apron. 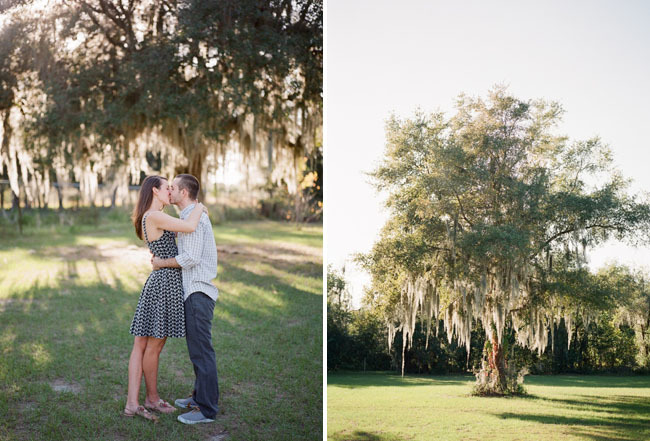 I also love that their talented photographer Dave Lapham captured some beautiful portraits of them under those amazing trees with spanish moss – such a perfect backdrop! And check out Jillian’s custom-made rose gold ring!! Love it. Nice job Marcus! 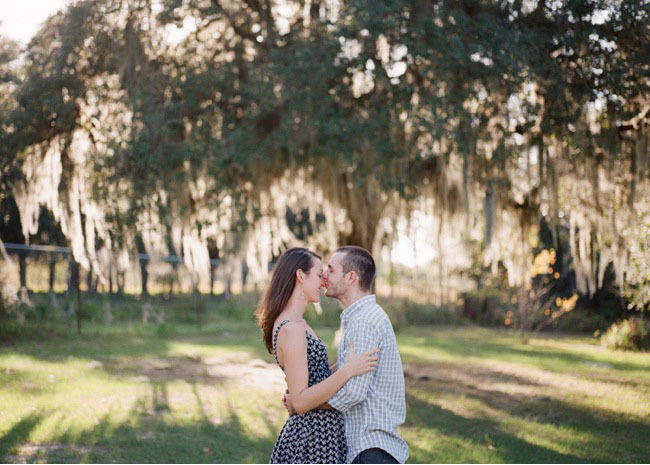 :) Congrats to you both on your upcoming wedding. 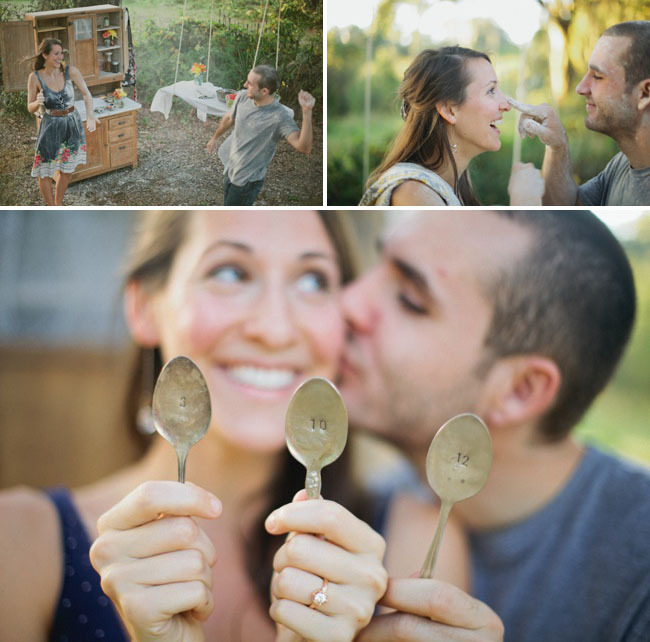 Love their save-the-date spoons? I shared a DIY on how to make them here. 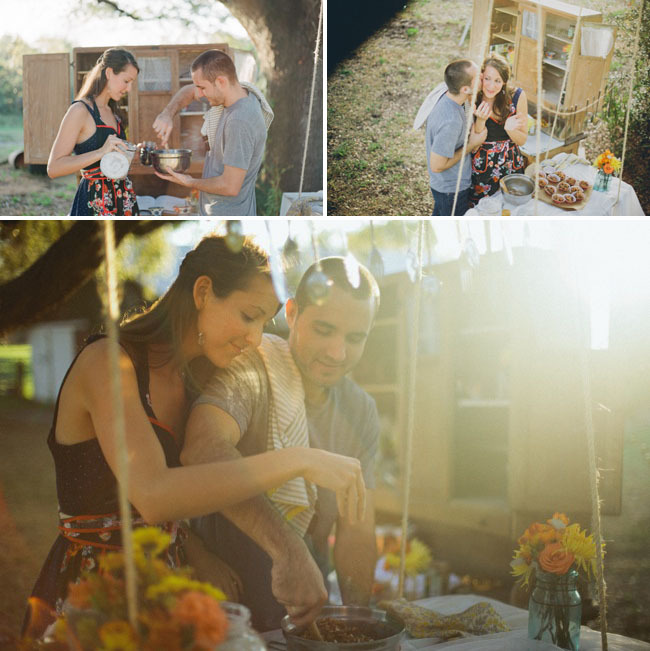 Big thanks to Laura Helm from Ashton Events for the design + styling and to Dave Lapham for the gorgeous photos! So adorable! 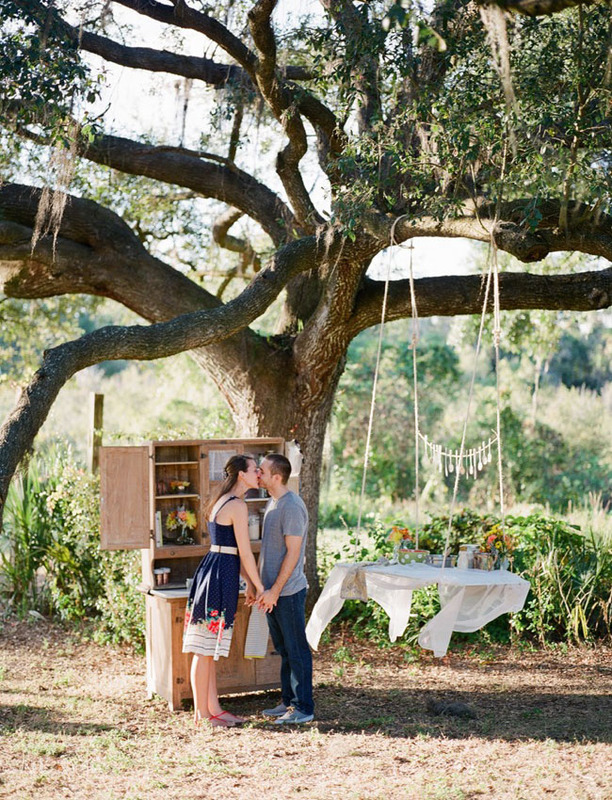 I love that kitchen setup and the tree. Oh, this is so cute! What a great idea! 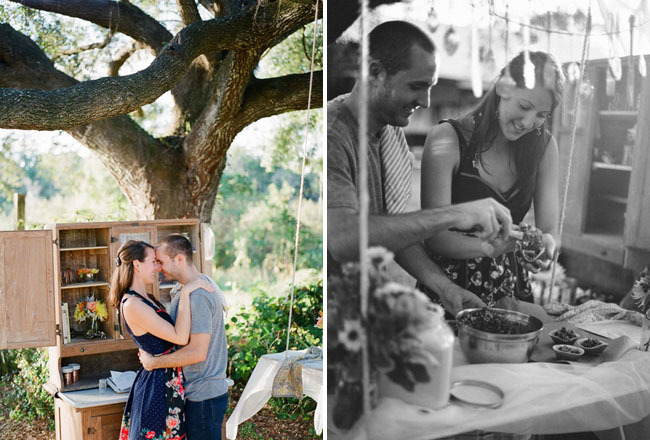 I hope they will be flirting in the kitchen and goofing around so in love for the rest of their lives! – Jen, I love your blog and I have for several years, but now that I am on Pinterest, I get really frustrated when you have several photos stuck together and I want to pin just one of them. Do you think there could be a way to remedy that? OMG, this is sooo cute, amazong. One of my favorites in a while! Such a nice atmosphere/light/place/idea!! SO cool!!! Greetings from Tuscany. Awesome! Feels like I want to get married. Fantastic photos can be really breath-taking. Like this one. Love your blog from the first site. 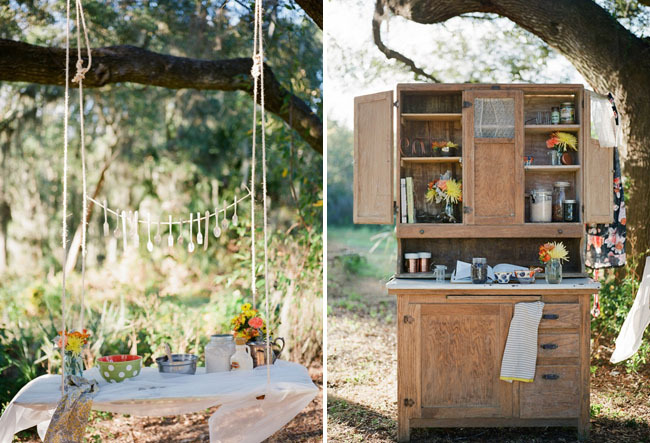 Beautiful … love the tree kitchen and floating surface … special … lovely shots too. This is darling! Absolutely love that last picture of the two of them! Wow!! What a fun couple. Very cute. What a cool space. If this is always outside and gets used, it’s even cooler! Once again, great props. I give the credit to the wedding planner for bringing everything together! I wish some of my clients were creative like this!